Divorce can lead to the children of divided couples achieving poor exam results and turning to drugs to ease their stress, The Telegraph says a report has found. Almost two thirds of children whose parents divorced said that the break-up affected their GCSEs, while one in eight turned to drugs or alcohol. The pain of watching their parents split up also led nearly one in three children to experience eating disorders. The survey of 500 children and young people aged 14 to 22 was commissioned by Resolution, the 6,500-strong association of family lawyers in England and Wales. Jo Edwards, its chairman, told The Times that the findings showed the far-reaching impact of divorce. She said: “Almost half of all break-ups occur when there is at least one child in the relationship, and with 230,000 people in England and Wales going through a divorce each year, and many separating, this issue affects hundreds of thousands of families in Britain. The survey also found that almost a quarter of children struggled to complete homework, essays or assignments; 12 per cent confessed to skipping lessons and 11 per cent found themselves “getting into more trouble at school, college or university”. In the UK, around 100,000 under-16s experience divorce each year. 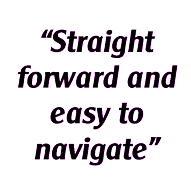 One of the reasons we set up Intelligent Divorce was to make the process as stress-free and non-confrontational as possible. Whether or not you agree with the findings of this survey, it can only be in a child’s interest to make sure your divorce and financial settlement are handled as co-operatively and non-adversarially as you possibly can. 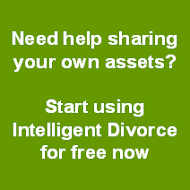 We think Intelligent Divorce gives you the best framework in which to so that.